It's that time of year again where people start asking what we'd like for Christmas. For me, it's also my birthday a few days before. I know that my family come on here to look at my wishlist, but you know what? We're all quite honest and tell each other what we'd like. It's just our choice wheteher to listen or to get something we think of. When I write a little wishlist for both my birthday and Christmas. 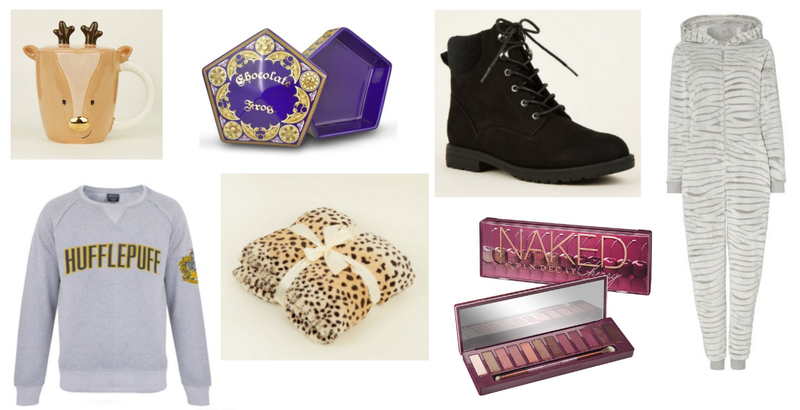 I feel like I don't see wishlists like this very much anymore but I still love to do a classic wishlist like this. This year, I've been asked what I'd like and actually, there's nothing that I really want. (Especially now that I have Cracker!) I genuinely appreciate people just being around, so I'm not bothered about presents anymore. I have everything I could ever want. But of course, naturally there are some things I'd like and a few things that I was thinking of getting myself. The things on my wishlist are either practical, cosy, homely or beauty. 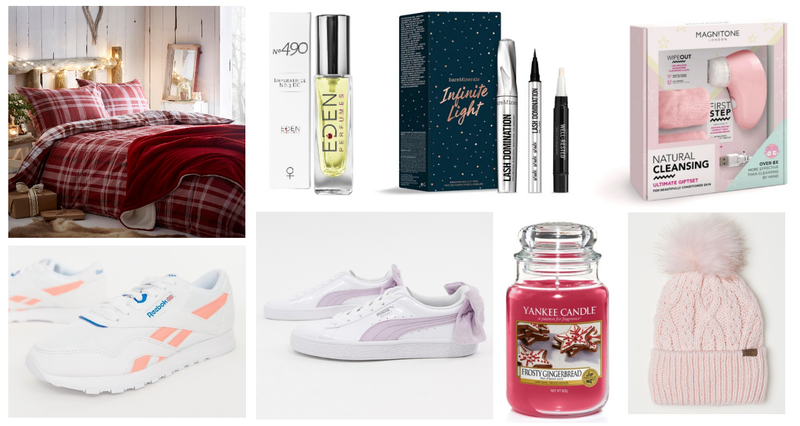 I'm really keen to build a updated collection of lounge wear and also some new things to add to my office/guest bedroom when I've finished decorating. I'm also looking for some boots - specifically flat ones so that I can wear something that it a little bit more comfortable.